Cheltenham Racecourse has seen a 63 per cent increase in business from the association sector in 2012. Associations include the Redeemed Christian Church of God (RCCG), Gloucestershire Ladies County Golf Association (GLCGA), the Association of School Business Managers and the Gloucestershire and Warwickshire Railway. 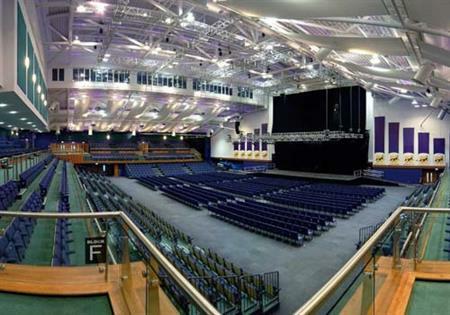 The Centaur, a 2,250-seater auditorium with numerous break-out rooms, offers free wi-fi and technical and catering facilities, which has helped to attract association business. Babatunde Akinfisoye, operations manager of RCCG, said: "The entire team at Cheltenham Racecourse worked exceptionally hard to ensure the success of our Ordained Ministers’ Conference (OMC) 2012, which welcomed more than 2,000 guests. "The readiness of staff to be flexible where necessary and provide creative solutions to our needs was undoubtedly a contributory factor to the success of the conference. "Cheltenham Racecourse certainly was the perfect choice; our guests really enjoyed the benefits of the spacious venue and ample free car parking facilities and we have received some excellent feedback." Susie Bradshaw, conference and events manager at Cheltenham Racecourse, said: "We are very pleased to have seen the significant increase in bookings from the associations sector this year. Our convenient location and large capacity means we are an ideal choice for associations." Cheltenham Racecourse is located one mile from Cheltenham town centre in Gloucestershire, the course is accessible from the Midlands’ major arterial routes including the M40 and M5, as well as direct train links to London and Bristol. There are more than 10,000 free car parking spaces, as well as 300 acres available for outside events.